Daniel de Visé is an author and journalist who has worked at The Washington Post, The Miami Herald and 3 other newspapers. He shared a Pulitzer Prize in 2001 and gathered more than 20 national and regional journalism awards. A graduate of Weslyan and Northwestern universities, Daniel lives with his wife and children in Maryland. He's the author of "I forgot to remember" and "Andy and Don". His latest work is The comeback (Greg LeMond, the true king of American cycling, and a legendary Tour de France) that was officially launched on June 5, 2018. We took the opportunity to ask Daniel a few questions about this book. GLF: Where did you get the idea of writing a book about Greg LeMond? 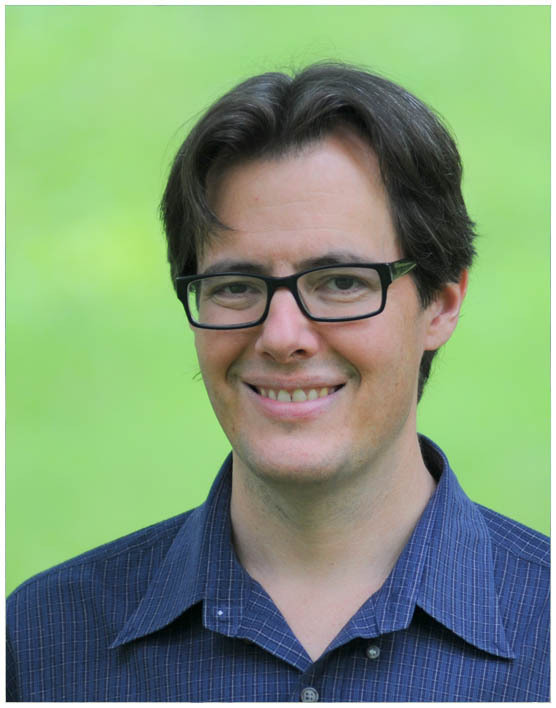 Daniel de Visé: A few years ago, I was trying to think of a good topic for my next book. I was looking for a needle in a haystack: A powerful story about someone who overcame enormous obstacles - - someone who achieved something big in the face of crippling adversity. It occurred to me one day that Greg's recovery from the near-fatal shooting and victory at the 1989 Tour was the perfect story. He suffered the most profound setback and then recovered to attain the most spectacular victory imaginable. I ended up building the book around that '89 victory. GLF: Was it always going to be a full biography, or did it have another storyline at first? Daniel de Visé: Because I set out to tell the story of the 1989 Tour, my initial idea was to write a dual biography, about LeMond and Laurent Fignon, the man Greg defeated. I always knew the book would be more about LeMond than about Fignon, because Greg is American and I'm American and I view Greg as the most important American bicycle racer. The book did indeed end up a dual biography, with perhaps half of the manuscript concerning Greg's life and roughly one-quarter concerning Laurent. The unexpected part was the final act, which introduces a third major character, Lance Armstrong, who ends up occupying a significant place in the story. At the very beginning, I wasn't sure how far I would go past Greg's victory in '89. To cite other examples, Richard Moore's great book on the '85 and '86 Tours, Slaying the Badger, pretty much ends at the close of the '86 Tour. The excellent Guy Andrews book Yellow Jersey Racer covers Greg's career in its entirety and ends when his career ends, in the mid-1990s. I decided to keep going. GLF: Did the release of "Yellow Jersey Racer" change your approach? Daniel de Visé: Books take a very long time, and I was nearly done with mine when Yellow Jersey Racer published. I was in the home of Kathy LeMond's family just after Guy's book had arrived in the mail, and I remember how delighted they were by the beautiful photo spreads within. I read Guy's book with fascination and admiration, and I compared what Greg's friends and rivals had told Guy with what the same people had told me. Though it was late in the game, I was able to add at least one great quote to my book from Guy's manuscript - - you'll see it credited in the footnotes. But, as I said, I was just about done with The Comeback by the time Yellow Jersey Racer came out. Later on, Guy helped me enormously by sending me copies of some photos from Greg's personal collection, after the LeMonds gave their permission. GLF: In the book, you’re following the paths of both Greg LeMond and Laurent Fignon, in parallel. Why did you make that choice? Daniel de Visé: Greg's victory in the 1989 Tour is the centerpiece of the book; everything that comes before builds up to that moment. For that triumph to really mean something, I felt that the reader had to care about both characters, Greg and Laurent. Thus, I felt it was my duty to tell the full life stories of both men. As I have said, I devoted more space to Greg's life in America than to Laurent's in France, but I did write a full chapter to Laurent's childhood and another on the early years of his cycling career. Throughout the rest of the book, wherever possible, their stories are intertwined. As author Lennard Zinn noted in reviewing my book for The Wall Street Journal, Greg's and Laurent's childhoods were "eerily similar" at times, and I also found remarkable parallels between the two men at many other points in their careers. Both staged remarkable comebacks that peaked at exactly the same time, and both saw their careers fade away as the powerful doping products of the 1990s began to permeate the peloton. I think those parallels make the story stronger, so I'm glad I stuck with that approach. 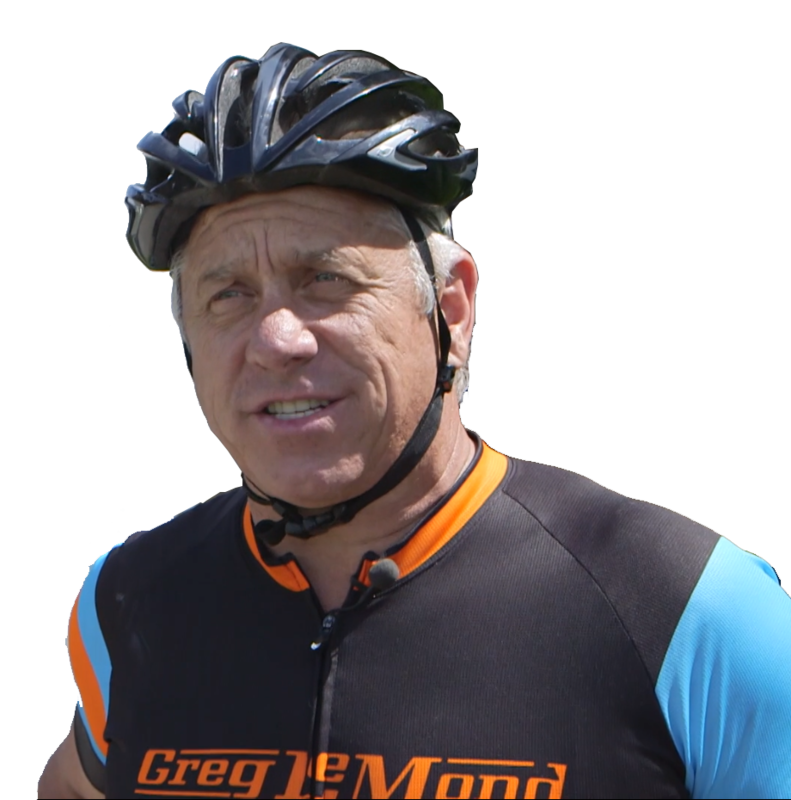 GLF: This is the first full biography of Greg LeMond. You’re covering events that we’ve only learned about a few years ago, like the fact that he was abused as a child or the impact of Voldemort on his personal life. How does it change the story, compared to Samuel Abt’s old book, for instance? Daniel de Visé: Sam Abt's book was so gripping because Sam had spent so much time with Greg in the years leading up to his 1989 victory. His book is so thorough in covering the shooting, comeback and time-trial triumph that I don't think I or anyone would have attempted to write another book on the same topic for several years. Indeed, no one did. But that book is now more than 25 years old, and thankfully, there's lots more that has happened in Greg's life. I haven't checked, but I'm pretty sure all the events through Greg's 1989 victory occupy roughly the first half or two-thirds of my book. And so much happened after that: The "sequel" Tour victory in 1990, the years of decline as EPO crept into the peloton, Greg's retirement, and then the ascent of Lance Armstrong and the decade-long feud between Lance and Greg. And then Lance is expelled from the sport and Greg regains his title as our nation's greatest cyclist. One of the remarkable things about Greg's story is that such dramatic things happened to him after he retired from the cycling sports. I think that some of the most suspenseful moments in his life narrative come several years after his final race. You can't say that about many sports icons. From a biographer's perspective, it makes the story that much richer. GLF: There are some touchy subjects here. How did you decide what was going in the book and what wasn't? Daniel de Visé: I believe that the most sensitive topics in my book are Greg's sexual abuse and the legal battle between him and Lance Armstrong, and the effect that battle had on Greg. I don't think it is easy for either Greg or Kathy to talk about any of those things, but I think it is important to them that those stories are told, and I never got the sense from either of them that they were in any way reluctant for me to tell them. Remember, too, that quite a lot has been written about the Lance v. Greg episode. As for the sexual abuse, Greg chose years ago to become a public advocate for male victims of sexual abuse. There was plenty that I left out of the book, but that was because if I had included everything, the book would have been way too long. I didn't choose to withhold anything important from my manuscript for reason of sensitivity. GLF: How do you think Greg stands out, as a cyclist and as a person? Daniel de Visé: I believe that Greg ranks among the most naturally gifted athletes the cycling sport - - any sport - - has ever produced. It is my opinion that Greg had as much physical ability (at least before the shooting) as any of the men who have won five Tours. It's often said that Greg could have won five Tours had he not been shot, and I think that's correct. Yet, I also believe Greg was more emotionally fragile than Hinault or Merckx. I'm not alone in that view; when I interviewed the cycling columnist Philippa York the other day, she told me Greg "was probably stronger physically, but slightly weaker mentally," than either Hinault or Fignon. As for Greg personally, I found him to be delightful. Even after all he's been through, I think he is one of the most effervescent, enthusiastic people I've ever met. He is also highly intelligent and very funny. I should add that I interviewed dozens and dozens of people who know him, and all but two or three seemed to feel the same way. That is not to say Greg doesn't have flaws. He could be fretful to the point of paranoia in big races, although some of that paranoia was certainly justified. He was apparently quite scatterbrained, as far as leaving stuff in hotel rooms and misplacing his cycling gear. But as a competitive cyclist and as a person, Greg was always just a really nice guy. GLF: What was it like, meeting him? Did you know him before? Daniel de Visé: It was a great honor to meet Greg. He had been a hero of mine going all the way back to 1984, when he entered the Tour for the first time. (I am pretty certain I knew who he was even back in the 1970s, because his name would come up at the Northbrook track, outside Chicago, where my father and I attended races every Thursday in summer.) It is always thrilling and a little bit intimidating to meet one of your idols. No, I had never met him before. He had certainly never heard of me, and I felt very grateful that he and Kathy were willing to meet with me and to entrust me to write a book about them. In person, Greg and Kathy were very gracious, personable, polite. GLF: Writing this book, did you unearth some deep secrets? Have you told us everything? Did some people ask you to omit a few details ? Daniel de Visé: Let me put it this way: Everything important that I learned while researching the book is in the book. Casual fans of LeMond and U.S. cycling will learn a lot about him from my book. Avid fans, knowledgeable fans, will learn things, too, but they will already know the broad themes of his life and career. GLF: When you write about bike racing, you often don’t use the name of the riders. Were you afraid it might go into too much detail and scare off the casual reader? Daniel de Visé: That's right. One of the biggest challenges in writing a book is populating it with too many characters. Presenting a new character, with a name and a role in the story, asks a lot of the reader. I chose to roll out new characters only when necessary. My editor later asked me to name a few characters I had resisted identifying, and that was a terrific help, because he was reading the manuscript as a reader, and any time he really felt he needed to know the identity of a specific cyclist competing against Greg or Laurent, that meant other readers would feel the same way. I always feel terrible cutting a character from a manuscript, but too many characters will simply swamp the reader. GLF: In the book, you tell us a little bit about yourself and, among other things, you state that you still consider Voldemort as an "extraordinary cyclist." What’s your definition of an extraordinary cyclist? Daniel de Visé: My father (the late Pierre de Visé, born in Brussels in 1924) and I followed Lance Armstrong's career with great enthusiasm. I bought his book "It's Not About the Bike" for my father. Later on, when Armstrong piled on victory after victory and threatened to exceed the feats of the great Hinault and Merckx, my feelings changed, and I became a little bit ashamed about the whole thing. I eventually found myself cheering for Armstrong's rivals, for Basso and Ullrich, hoping they would end Armstrong's streak of consecutive victories and restore some needed balance to the sport. And now, of course, we know that Armstrong was doping, along with Basso, Ullrich, and most of the other GC men against whom Armstrong competed. It is difficult in hindsight to assess the achievements of any of those men, because we will never know what they would have achieved had they ridden "clean." My gut feeling tells me that the "real" Armstrong is the guy who won the World Championship road race in 1993: An immensely talented competitor in one-day bicycle races, a man of enormous power but insufficient talent to compete with the best in the world over the course of a three-week Grand Tour. If we could somehow go back and level the playing field upon which Armstrong, Basso, and Ullrich competed, would Armstrong have won seven Tours? I doubt it. Backed by a strong team and a wise manager, might he have won the Tour even once? Maybe so, maybe not. 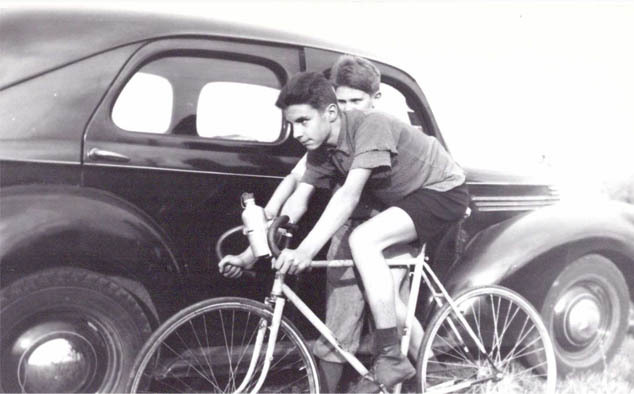 Right: Daniel's father, Pierre de Visé, on his bicycle around 1940. GLF: Of all the people you met for this book, who left the most enduring impression and why? Daniel de Visé: Several people I met for the book left deep impressions. First among them would be Greg and Kathy, who turned out to be kind, gracious and funny - - just the sort of people you'd hope they would be, especially when you are going to spend two years of your life writing about them. Also: Eddie Borysewicz, "Eddie B.," Greg's second-favorite coach (after Guimard), who famously dismissed the 1970s American cycling establishment as "fat guys with mustaches"; Roland Della Santa, the bicycle craftsman who more or less discovered Greg back in Reno, an extremely engaging storyteller; and Alain Gallopin, Fignon's best friend and longtime soigneur, who taught me a new lesson on the meaning of friendship. Daniel de Visé: Realistically, I don't think Jock would have won that race, no matter what Greg did. I understand the reaction among those who expected the team to work together - - but Greg and Jock rode for a team that had agreed not to work together. Daniel de Visé: Everybody seems to have a different opinion on who was stronger in '85 and '86, Hinault or LeMond. I agree with Philippa York when she says that Greg was probably stronger physically in those years (especially in the second half of the races), but Bernard was stronger mentally. And all of France was behind him. As a fan, I was crushed when Greg lost in '85. But in hindsight, Hinault was certainly deserving of five Tour wins. If only he could have won the fifth before '85! - Did Greg cheat by using the aero bars in 1989? Daniel de Visé: I don't think those bars were any kind of secret by the time Greg used them in the decisive time trial. The judges allowed them, so it was Greg's right to use them. I also understand -- sort of -- the reluctance of Laurent and others to use technology they themselves had not tried. - Greg doesn’t get shot in 1987.  How does that affect his cycling career? Daniel de Visé: Oh, I think there's very little doubt he would have won the Tour in '87 and '88. I think that if you asked the men who won those Tours, they would agree. There's a very funny picture of Greg posing with Roche and Delgado after those victories, and both of them look guilty. - EPO is never invented. How does that affect Greg’s cycling career? Daniel de Visé: I believe Greg could have won one or two more Tours in a relatively "clean" field. We know from Otto Jácome, Greg's trainer, that he was possibly in even better shape in '91 and '92 than in '89 and '90. I think EPO directly or indirectly destroyed both LeMond's and Fignon's careers. - Do you think Greg used PEDs at one point? Daniel de Visé: Let me quote from my book: "Greg LeMond is often described as the last great Tour de France champion of the “clean” era. I have read most of the articles written about him, and I have found no credible allegation that he doped from any source, named or unnamed. Lance Armstrong famously questioned LeMond’s record-breaking performance in the final time trial of the 1989 Tour, implying that LeMond could not have accomplished it without artificial aids. But that is conjecture. I interviewed dozens of men who competed with LeMond, and at one point or another, I asked most of them whether they thought he had raced clean. One cyclist did not. His evidence against LeMond, like Armstrong’s, was the breathless time trial that opens this book." - Would Greg have been as successful had he not married Kathy ? Daniel de Visé: I don't think Greg would have gotten through a single season in Europe without Kathy, let alone risen to the top of professional cycling. They are true life partners. We also wrote a short review about "The Comeback" of Daniel de Visé. The review can be found here.